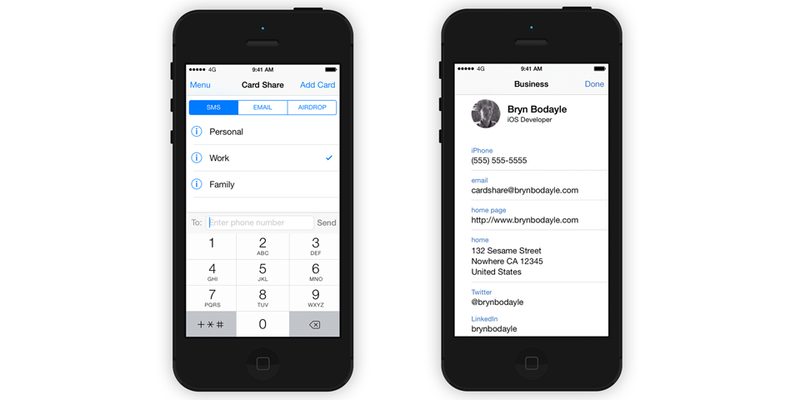 Card Share is the fastest way to share your contact information. After meeting someone new, the last thing you want to do is get lost in your phone. Card Share fixes that by making it quick and easy to send a contact card that’s compatible with every device. Card Share is an app that I built, because I needed it. After starting from that, I added features that others would find useful. I talk more about the app in a blog post. You can keep up to date with all the latest news about the app on Twitter. The reception for Card Share has been excellent. I’d love to hear your feedback and ideas for features. The app is free to download and use.